Draupadi sprang full grown from the fire but no other heroine in Hindu mythology was as earthy as she. Her birth, sought by King Drupada, presaged a purpose. Her steely will, which often gleams through her hapless married life, was shaped by the power and plenty that she knew as the beloved daughter of the wealthy king of Panchala. But for this, her tale would have been as passive as that of any other woman of that era, which was less than kind to women. Even as she lived as a woman typical of her times, her fiery personality lent a glow to everything that she did. Though won by Arjuna she had to be the wife to all the five Pandavas. Her success in this task was notable enough to bring Satyabhama seeking counsel on married happiness. When dragged into the assembly of gaming men, at Hastinapura her query in jurisprudence left the grave elders there speechless. A dutiful wife, she followed her husbands in exile and kept house for them in the forest. 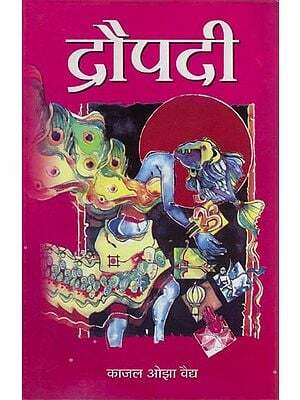 An intelligent woman, she plied Yudhishthira with questions on morality. 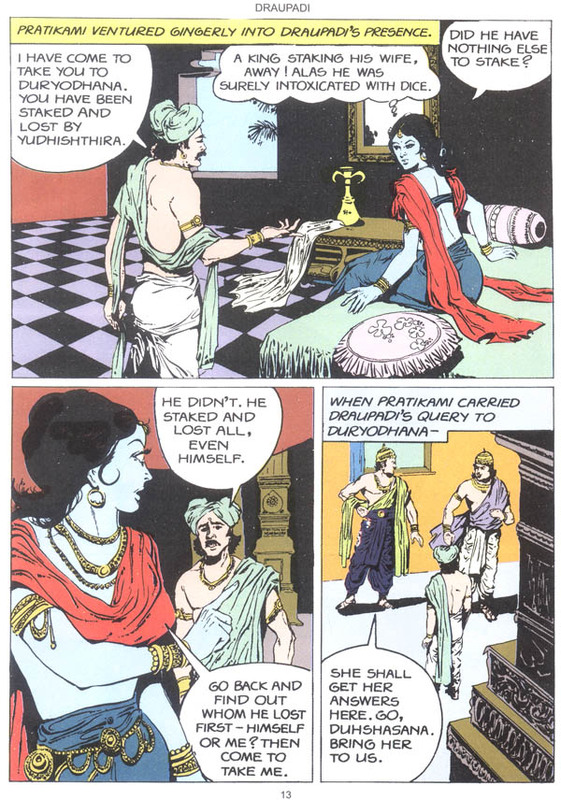 When Subhadra came as Arjuna's wife, Draupadi was jealous. But she controlled it under her regal bearing. She knew that Keechaka was dead. But her live wrath would not be satisfied till the watched the corpse on its way to be burnt. 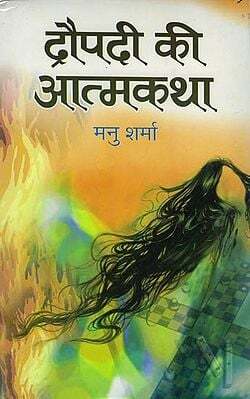 Draupadi was the total woman; complex and yet feminine. This dark beauty was no ordinary woman. Born from the pure flames of a sacred fire, Draupadi was devoted wife to the five famously talented and virtuous Pandava brothers. The evil kauravas wanted her for themselves, and eyed the Pandava kingdom as well. Raging at their impertinence, and ranting at her husbands' helplessness, Draupadi inspired a deadly war which wiped out the Kaurava scourge for ever. Kalyani Navyug Media Pvt. Ltd.